Virtual Desktop Infrastructure (VDI) is still a relatively new technology of which most people are either unaware of or have only a brief idea about its functioning. In this contemporary era of technology, it is essential for people to stay up-to-date with the latest trends and innovations. VDI is one such disruptive technology that people need to be familiar with. According to a report by Research and Markets, Global Virtual Desktop Infrastructure market is expected to have a CAGR of 27% during the period 2017- 2023. So, before jumping to the thing people don’t know about VDI, let’s look at the basic definition of VDI. Virtual Desktop Infrastructure (VDI) is a technology that is used to create a virtualized desktop environment on a remote cloud setup. If you are running a company or working for any organization in this age of technology, then it is quite normal to face problems like security breaches and accessing and sharing data remotely. VDI empowers the businesses to counter all these problems. Businesses are global now, and employees need access to resources all the time so that no important information or lead is missed out. This requirement of people can be successfully fulfilled by the exciting feature of VDI which gives you the ability to work from any remote location. VDI technology can help you access your data anytime and anywhere without thinking about the security of the data which, in turn, helps in better performance and reduction in mental stress. Bring Your Own Device is a term used by various organizations that allow their employees to bring their personal devices to offices for the accomplishment of their daily tasks. However, there are many challenges faced by organizations when they allow employees to work from their own device. VDI offers a solution to all those challenges by connecting the devices to the virtual desktops seamlessly. The organization has complete control over the virtual desktops. They can also control the access given to their employees and monitor their activity. People generally think that VDI increases the overall cost compared to traditional desktops. However, it is not the case. The costs of traditional desktops are recurring as every hardware needs to be upgraded after a certain period of time. VDI helps in solving this problem by creating multiple virtual desktops on a single server saving on the cooling, power and space requirements needed for the physical desktops. So eventually, contrary to what people think, VDI reduces the cost of operation in an organization. Moreover, if you opt for a third-party hosted virtual desktop provider, you can achieve considerable savings in capital as well as operational expenses as the provider takes care of hosting your desktops as well as its maintenance. The most common myth about the hosted application is that it might not be secure. However, VDI is more secure compared to the traditional desktops as the data is stored on the cloud servers situated in remote data centers. Hence, even if the device is stolen, the organization don’t need to worry about the data. Moreover, virtual desktop hosting providers have security safeguards like multi-factor authentication, data encryption, Intrusion Detection and Prevention System (IDS and IPS) to ensure total protection of your data. Access Controls are also implemented to set roles and permissions to files so that no unauthorized user can access them. People generally think of VDI as an online technology which requires a high-speed internet connection to use virtual desktops. Instead, VDI could also be used offline. Offline VDI can also create or manage desktop as a virtual machine. The difference is that, in case of offline, the virtual machine is created on business class PC rather than the remote cloud servers, as in case of hosted virtual desktops. A virtual desktop pool is a group of virtual desktops with identical configuration. It becomes easy to configure desktop settings and centralize management by pooling virtual desktops. This kind of setup helps to provide the same applications to all the users of the desktop pool and makes updates, backups, virus scans far more convenient to perform. For instance, if you want to update all the desktops, then you can directly apply an update to all the virtual desktops by just updating the parent desktop. The quality of image for graphics and text is much better than in previous years. People think that traditional desktops have comparatively better graphics than the virtual desktops, but the user experience for VDI has been dramatically improved. You can even add graphics acceleration to enhance the quality of graphics. The traditional desktops come with a specific set of resources like RAM, Storage, processor, etc. If you want to upgrade your system, then you need to replace complete hardware setup. The good news is that hosted virtual desktops can be scaled as per the requirement. Hence, there is no need to replace the hardware every time. For example- if you want to increase desktop storage from 40 GB to 100 GB, then there is no need for hardware replacement. Resource overallocation is a feature of VDI in which you can utilize the server resources of the other desktops if others are not using the complete resources allotted to them. It increases the flexibility of desktops and makes sure that no desktop is performing low. For Example, if a server has 128 GB RAM and is hosting 8 desktops, each desktop having 16 GB RAM. Once the desktop utilizes its own 16 GB RAM, then it can use the unutilized RAM of other desktops. Virtual Desktop Infrastructure helps to decrease the cost of power consumption. An office with traditional desktops will use loads of electricity compared to virtual desktops hosted on the cloud as multiple desktops can be created on a single server. This one step can reduce the organization’s carbon footprint and help to give your contribution towards saving the environment. From the above points, you know a lot about the Virtual Desktop Infrastructure and must have realized that hosted desktops easily cater to the needs that an organization or clients might need. Every organization have their unique operational needs. However, every organization can be benefited from virtual desktop pools, security, easy access to data form anytime anywhere and other benefits that VDI provides. Do you know any other aspects of VDI that we might have missed in this list? Please share with us in the comment section below. What Is VDI And How Does It Work? 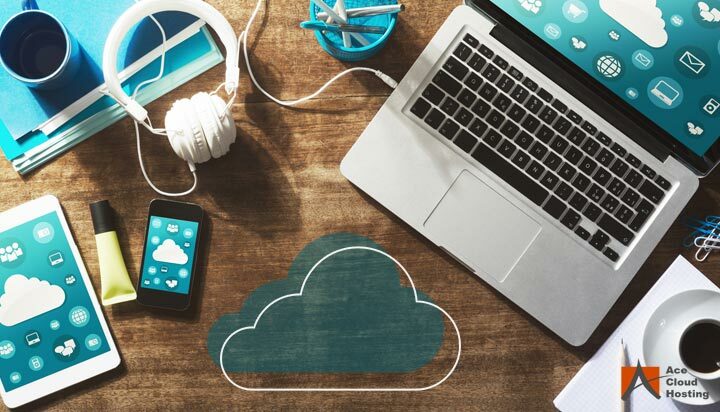 10 Ways How VDI Will Change Your Business in 2019 How Can VDI Help Optimize the Performance of Your Business? How Can VDI Enhance the Productivity of Employees? Ace Cloud Hosting is a leading provider of managed hosting services. It is renowned for hosting tax software (Drake, Lacerte, ATX, ProSeries, ProSystem, and others), accounting applications (QuickBooks, Sage, and others), and other business desktop applications. Ace Cloud Hosting is an Intuit Authorized Commercial Host for QuickBooks and a QuickBooks Solution Provider.